Teacher’s Comments: Slim, sturdy and clever. It’s pricey, though. 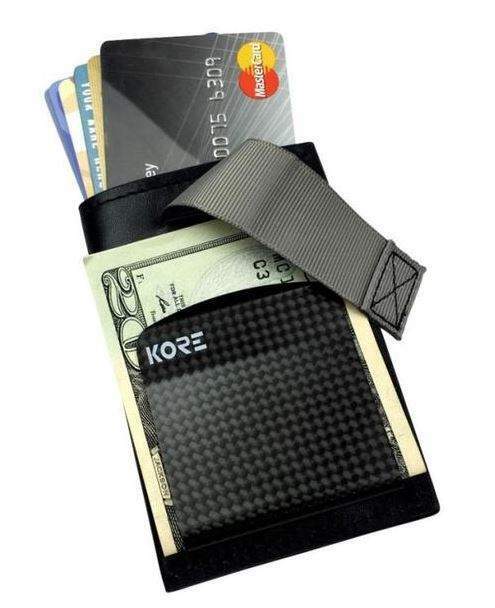 Kore Essentials, which is perhaps better known for its excellent line of belts (Kore Essentials belt review here), recently sent one of their new slim wallets for review. As the name suggests, the wallet is very slim, slipping quite easily into the front pocket of dress pants and jeans alike (Don’t carry your wallet in your back pocket. That makes it more accessible for pickpockets and can get your back out of alignment when you sit on it). The main compartment of the wallet holds up to eight cards in an RFID blocking main compartment. A very clever feature is a tab that pulls the cards up from that pocket, eliminating the frustration of trying to pull the compartment apart when extracting the cards. It will also extend the life of the wallet. The money clip on the wallet is a nice-looking “military grade” carbon fiber. 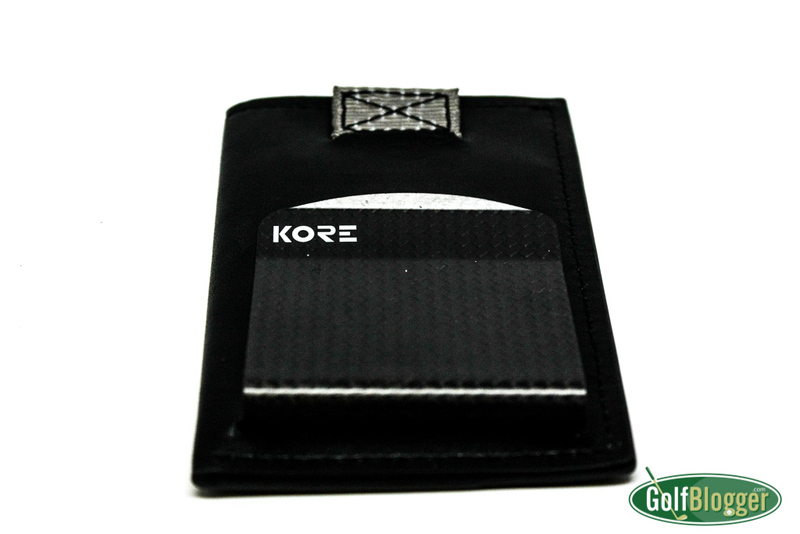 The money clip can easily be removed for use by itself, or to further reduce the size of the wallet. Construction of the leather wallet is first rate, and I think it should last for a long time. My one concern is that the price is fairly steep at $59. I think that’s a pretty hard sell.